...and how volunteering with us means volunteering with dozens of different charities in the New York area! Long before formal organizations were established, laymen and women, clergy and religious, devoted themselves to serving the downtrodden. 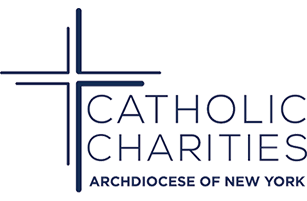 From orphans to immigrants and from the disabled to the homeless and families in crises, faith-filled responses to those in need grew into the Catholic Charities of the Archdiocese of New York (Catholic Charities NY). We are now a Federation of Agencies that provide help and create hope for hundreds of thousands of New Yorkers in need. The Federation of Agencies is a network of affiliated independent Catholic agencies, serving New Yorkers in need, non-Catholic and Catholic alike with a special priority for the poor and vulnerable. Each, with its distinctive programs and services, is rooted in the core Catholic belief that each person is made in the image of God and worthy of dignity and respect. 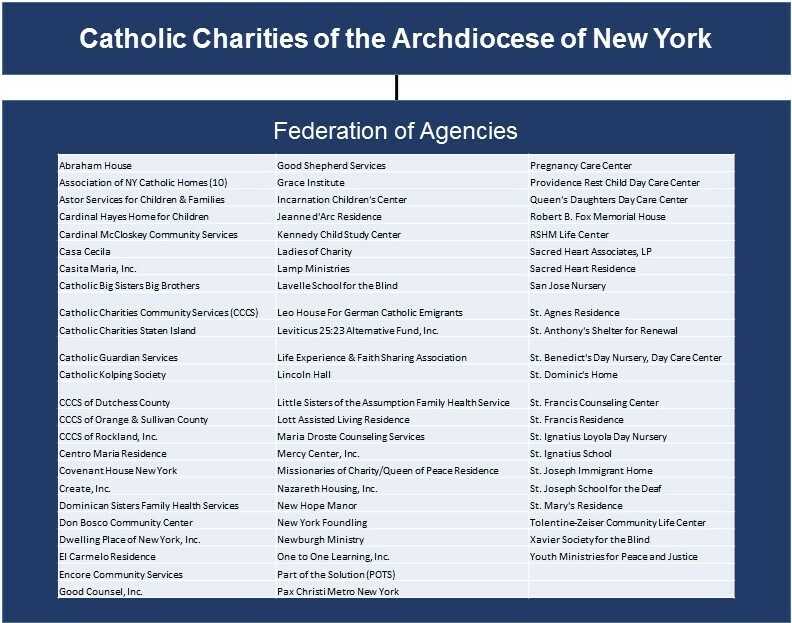 These agencies are separately incorporated charities (or human service organizations), and Catholic Charities NY operates as the umbrella organization to this Federation of Agencies. When you volunteer with Catholic Charities NY, you will gain access to a network of nonprofits serving New Yorkers in need. For a complete listing of our Federation of Agencies, please visit our directory here. Discover these agencies' powerful histories, and learn how they continue to serve and improve the lives of people today, non-Catholics and Catholics alike. Catholic Charities of NY and our agencies are located in 10 counties spanning from Staten Island to the Hudson Valley. *If you are interested in volunteering in Brooklyn or Queens, please visit Catholic Charities Brooklyn & Queens (this is a separate organization).